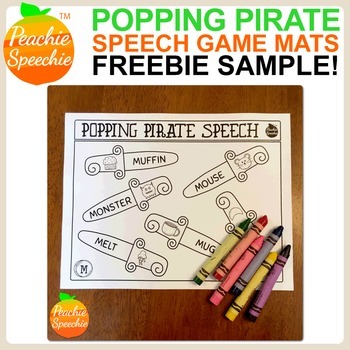 My students love the game Pop Up Pirate! We play it frequently, especially in September when we are celebrating Talk Like a Pirate Day! 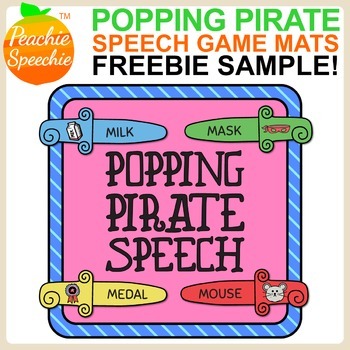 These mats come in black and white as well as color versions! This sample contains mats for the /m/ sound only. 2. Instruct students to place all 6 of their swords on top of the swords on the mat. 3. When it is their turn, students pick up a sword and then say the word under it! You can instruct them to make a sentence with the word if they are working at the sentence level. 4. 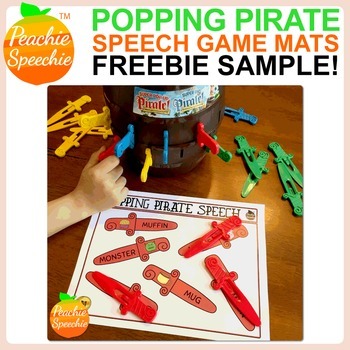 Play the game as usual, with students taking turns putting swords into the barrel until the pirate pops! 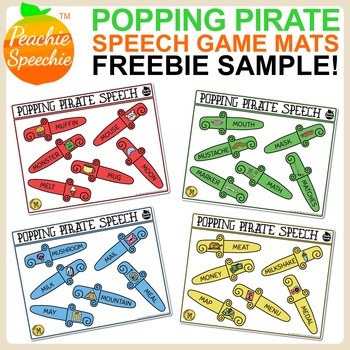 The swords on this mat were sized to perfectly fit the Super Pop Up Pirate game, and if you have the smaller Pop Up Pirate game, just set your printer to print at 70% of the size to get smaller mats/swords. Personally, I use the larger mats for both size games.